Readers of all ages gain insight on the limitless opportunities to witness their faith to others and live vibrant, grace-filled lives. 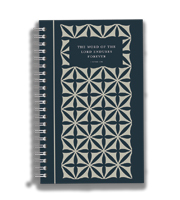 Small enough to fit in a purse or glove box, this book offers prayers for all different situations we face. Enjoy a collection of heartfelt requests and the Lord’s faithful answers presented in one-page, easy-to-use devotions. Meditate on devotions filled with the amazing promise of Scripture that God chooses to love unlovely people.